Here at PowerStrength, what we do is about much more than just getting your child, bigger, faster and stronger. What we really focus on is improving their self-confidence & self-esteem. 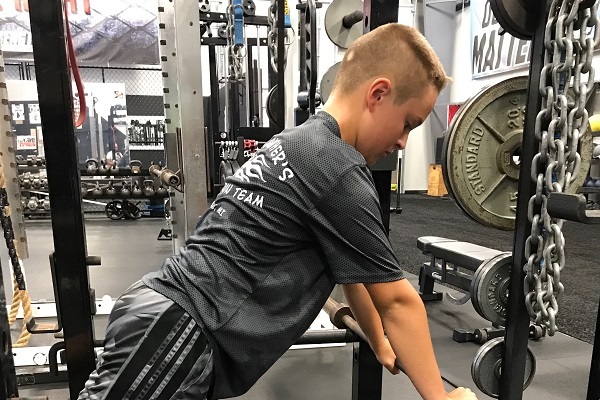 Our PowerStrength Pyramid Principles are about empowering young athletes to reach their full potential not only in sports, but also in life as a sense of self-confidence, commitment and dedication are instilled throughout their time with us. 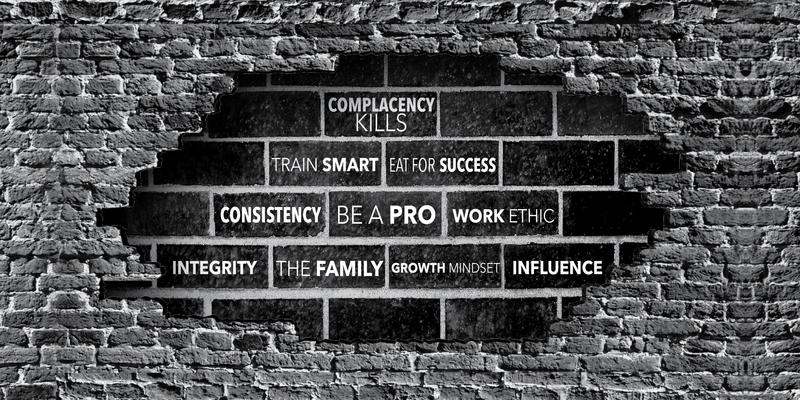 These “bricks” set the foundation for their successful future! 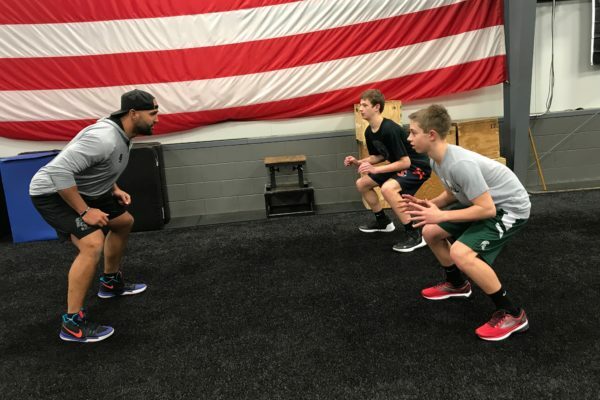 We teach our athletes that no matter your ability level, there is always room to improve. We don’t blame others or the circumstance. One of the biggest lessons we teach kids is that you’re 100% responsible for your own success in life. And this starts with taking ownership over your personal development not only in sports, but also in the classroom and everyday life. We focus on what we can control with the understanding that we can always get better. And when you begin to have some success it’s vital to guard against complacency. We want to develop leaders in our program. We are able to reinforce leadership qualities such as integrity and the ability to positively influence during every session. 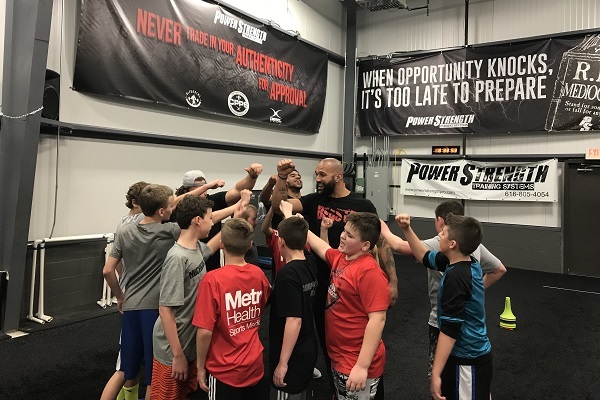 Doing the right thing, accepting responsibility for your actions and effort, and being a good teammate are valuable character traits that are coached up at PowerStrength. This value means a couple things. We teach that coming to PowerStrength is a privilege. It takes a village to raise strong young people – parents, coaches, and teachers all play a role in your child’s development. We work together as a team to build confident, respectful young athletes. They also get to learn from coaches and older athletes who have “been there and done that.” These types of role models are invaluable. All this combined creates our PowerStrength Family. This value teaches your child how to handle the details of being a successful athlete and person. Pro’s exhibit respect, while holding themselves and others accountable. We teach our athletes the value of sportsmanship and respecting their teachers, coaches, parents, peers, teammates & family members is essential. We lead by showing others the respect that they deserve, even if they have wronged us. Pro’s plan ahead, are punctual, and don’t procrastinate when it comes to preparation. The details matter to pro’s, and they are open to coaching and instruction. We provide a proven path for smart, safe, training programs. Following proper progressions ensures healthy, effective results. 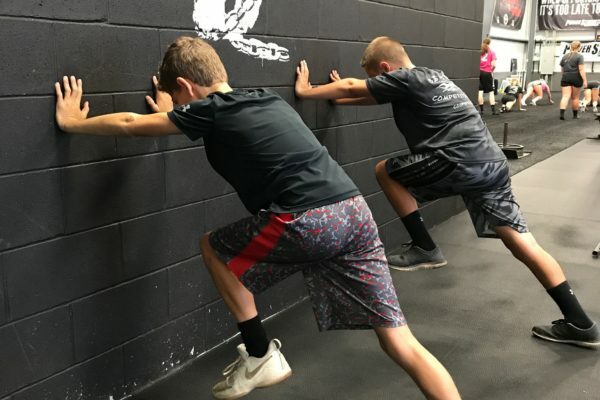 We don’t throw young athletes into workouts they aren’t prepared for. We also provide nutrition guidelines that help your child reinforce healthy eating habits. But let’s not forget – training smart also encompasses FUN! 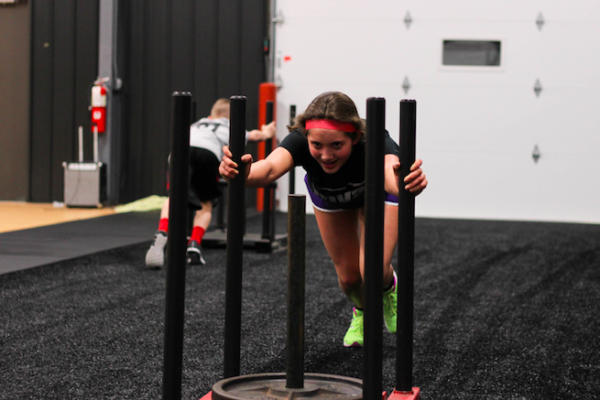 One of our main goals as coaches is to show young athletes that working out is fun! If you’re not enjoying the process of training with us, then you are not in the right place. We believe you should enjoy every minute of your PowerStrength experience because not only will it help you achieve your goals, but it will also set the foundation of good habits for the rest of your life. "Zack has absolutely loved the training he gets at PowerStrength. In just the short time he has been there we've seen the level of his game and confidence rise. We are definitely planning on continuing his training there, and enjoy being a part of the PowerStrength Family!" Baxter is Faster on Game Day Due to Better Running Form! "At the latest tournament my husband and I both noticed the change in Baxter's stride and running mechanics on the field. His posture, and how he uses his arms, has improved- and he was SMOKIN' it to get the soccer ball! His endurance was high for a weekend full of games!" "Since starting at PSTS we have seen improvements in Trent's confidence in himself as an athlete and person. He just attended a football camp and instead of blending in, he would be first in line and willing to demonstrate a drill. We never have an issue getting him to go to PSTS. He talks highly of all the trainers he has and really enjoys the positive energy they convey. Trent has also improved his eating habits and makes better choices. 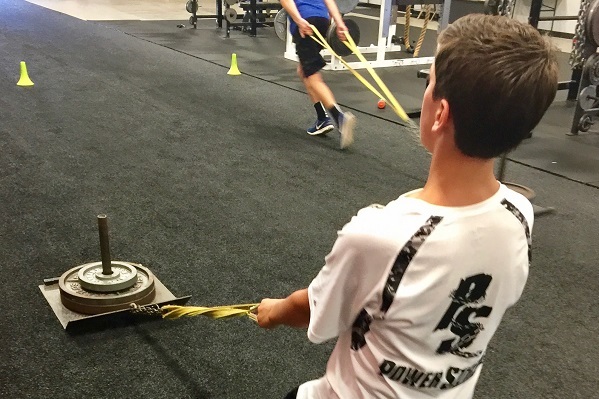 At PowerStrength they are building so much more than just athletes." A: This program is specifically designed for boys & girls, grades 5 – 8, who want to be faster, stronger and more confident on the field, court, or diamond. Building self-confidence, self-esteem & better nutritional habits is an important part of this program. Our main goal of this program is to show young boys & girls that training can be fun and help set the foundation not only for sports but for the rest of their lives. A: Currently our Youth Programs train Monday through Thursday evenings at 6:30pm. However, times will adjust in the summer months and during any seasonal camps we offer. A: Each training session is between 60-70 minutes. Each session includes: a dynamic warm-up, speed & agility training, power development, strength training & conditioning. We also incorporate games into our training sessions to keep them fun, while instilling proper technique. A: Yes! We will provide you with nutrition guidelines that will help instill good nutrition habits for your son or daughter. These were designed by our certified nutrition coach on staff and are included in our athlete memberships. A: Athletes should train at least 2 times per week. That is the minimum for athletes who are not in a sport season. That way we can help build a foundation and truly build upon it as they are learning new skills. Especially at a young age! A: Depending on the ability level and type of class, we maintain one coach for every 6-10 athletes to ensure optimal, detailed coaching during everey session.